Note: This article was created using a Mac running Sierra. The steps should be the same for all devices running the same version of OS X. If you find that the steps are not the same, then we recommend you use the settings found in these tables and follow the panel prompts to set up your device. If you need additional assistance, then please contact Apple support. 1. 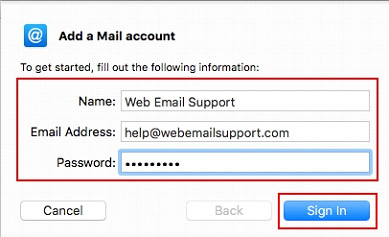 Open the Mac Mail Program and select Add Account from the Mail drop-down. 2. 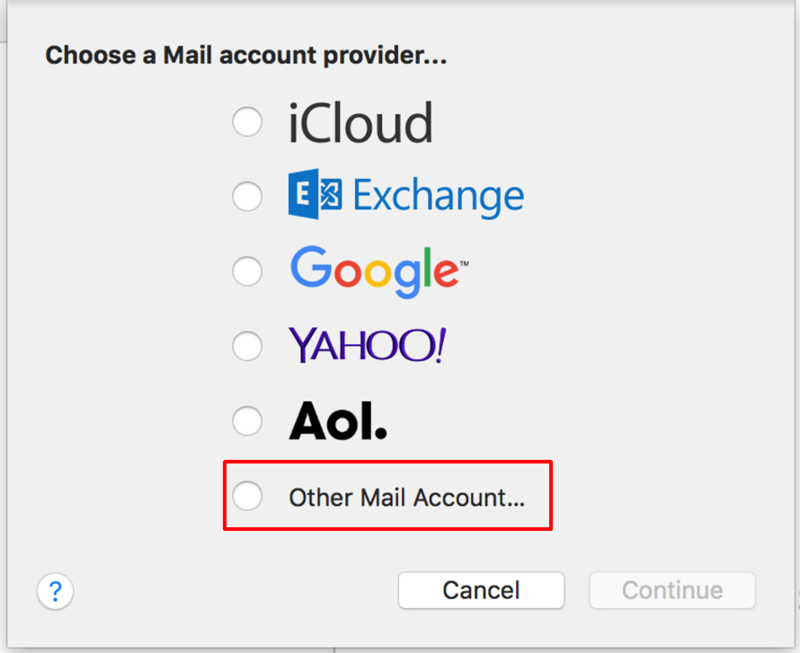 Click Other Mail Account when prompted to choose a mail account provider. 3. Enter your information in the following fields, then click the Sign In button. Name Enter the name to display in the From field when someone receives an email from you. 4. You may receive an error that says Unable to verify account name or password. This is because you are using a custom domain name that will require some additional setup steps. Reference the following table to enter the remaining settings, then click the Sign In button. 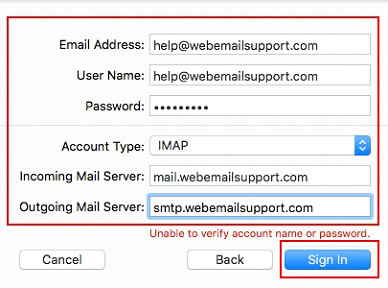 Account Type Select IMAP or POP3. Note: Mail server may be referred to as host server. 5. 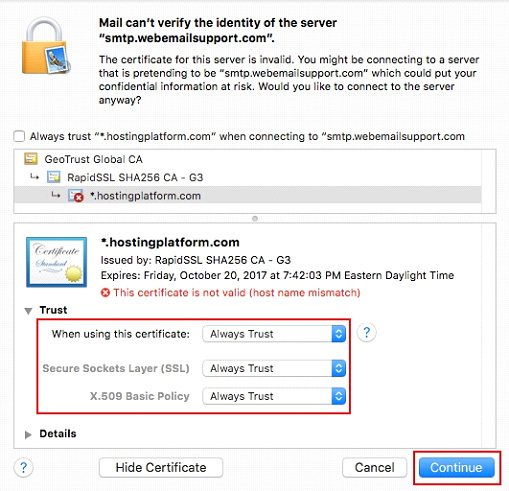 Mac Mail will attempt to use an SSL certificate by default in the setup process. 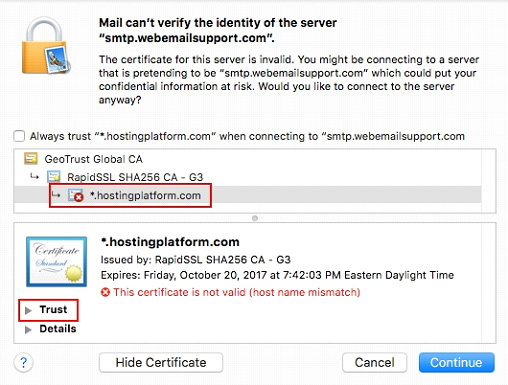 Because you are using a custom domain name, you are likely to get errors that state Mail can’t verify the identity of the server. Therefore, you need to direct Mac Mail to trust the certificate that is provided. To start, click Show Certificate. 6. Select the line that reads that reads *hostingplatform.com. Click Trust. 7. For all three options, select Always Trust, then click the Continue button. 8. If prompted, enter your computer’s administrator account information. 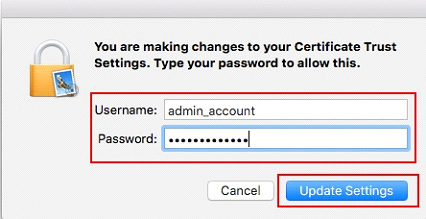 This is the Administrator username and password for your Mac computer. 9. Select the apps you want to use for this account. 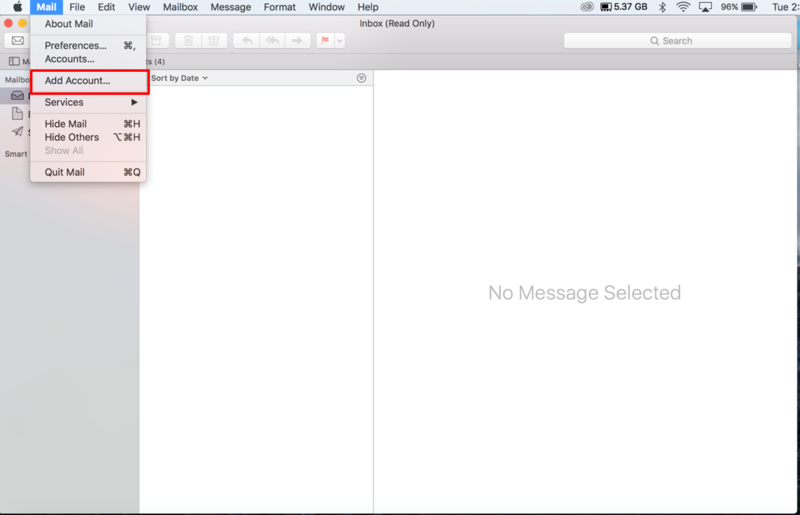 You should at least select Mail, but it is recommended to also select Notes. Click Done.